An edited version of this article was originally published on Entrepreneur on June 25, 2015. Rarely given much thought in brand creation or marketing efforts, your email signature can sometimes be seen by hundreds of eyeballs on a daily basis. Once you start thinking of this rather minuscule part of your communications a little more strategically, you will see how it can easily turn into an important branding tool with a build-in and engaged audience — a tool that is personal and, yes, free. The tag line used to be one of the key brand communication tools. Things shifted and today tag lines often end up being the headline on your landing page or used in certain lock-ups of your logo only. It’s time to celebrate your tag line again. It is a clever elevator pitch in a few words that quickly describes your brand’s purpose, and the email is the perfect piece in your marketing mix for it to live, be shared and live on happily ever after. This one’s a no-brainer. Now check your signature and make those updates to ensure all social brand channels are indeed showcased as there are new ones popping up faster than you can read this article. There is no easier way to gain followers that care. Period. People are over the inspirational quotes and they don’t need to know you message was sent using your iPhone, tablet or even smartwatch. Instead, use your signature real estate to highlight the latest blog post you wrote or share interesting news of your brand – another way to create more touch points. Remember that you already have the attention of a reader, and she is only one click away to learn more about your brand. The “leadership area” of your signature as I like to call it, can be individualized by department or receiver, too. This can ensure the information is personal and relevant. All said and done, ensure your signature is not overwhelming. It needs to always be the second read after your message, even when you reply to an email with solely the two letters “OK.” The signature should always feel just like that: a place to either grab a phone number or address from or to further engage with your brand; the latter you will now have successfully achieved. To further help you visualize these tips, I am equally reluctant and happy to share with you my E-Mail signature, as it reads of June 22, 2015. As you may have heard, Meerkat now has a new, serious, competitor. And no, it’s not the Minneapolis agency Periscope, which greatly enjoyed getting a lot of buzz today when Twitter launched Periscope. Twitter did not talk to the agency by the same name, has not asked them for their Twitter handle @periscope (Wait, really? They kept @periscopeco), nor cared about the fact that they are naming their product the same way. Twitter decided to stick with the name of the startup they acquired, a very ‘speed-to-market’ move, and when it comes to naming, a highly questionable one. 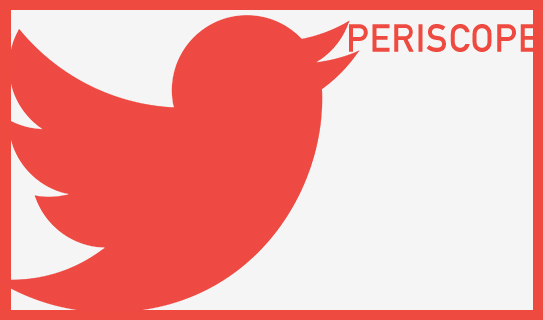 Twitter is 36.5 million followers larger than the agency by the same name, and the world will, after just a few days, think of Twitter’s service – and Twitter’s service alone – when hearing the name Periscope. Periscope, the agency, will not be so happy about it when confusion turns into annoyance and a dillusion of their smart brand name. The question remains: Why stick with the name Periscope? A rather great name for a ‘full-spectrum creative agency’ that helps uncover and look at things differently, but for a live-streaming app? 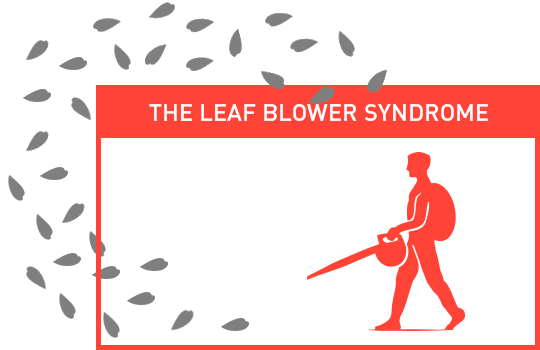 Given all the red flags, they kept going with a name that stands for an apparatus consisting of a tube attached to a set of mirrors or prisms, by which an observer (typically in a submerged submarine or behind a high obstacle) can see things that are otherwise out of sight (via Google). Leaving early adopters to adjust to a new name in order for a brand to focus on its much bigger future after having serious funding infused, or being bought by the big guys, would be the right move. Startup names are often just that, they are quick MVP’s of something that really should not be driven by lean startup methodology to start with. And definitely not go past an acquisition or merger. A startup is vulnerable; very vulnerable. They will steal and copy. They will undercut your price. They will be bigger and more powerful than you. Despite the idea of branding being about positioning, image and voice, for new ventures branding provides something of much greater value: A thick layer of protection. With a startup product or service you may be so intrigued by its novelty or functionality that you decide to make a purchase. With a brand you fall in love, and love is a strong word. Love does not fade easily. Once you created love, you will compete on a much higher level, one that is not about price. Your initial customers – the ones you have to fight so hard for to gain in the initial months upon launch – will quickly abandon ship for a cheaper variation, or a competitor’s added feature, if you did not make a conscious decision to invest (time and money) into the process of translating your startup into a brand at time of launch. 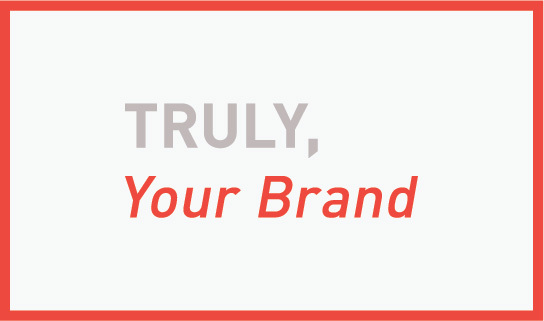 Branding for new ventures is first and foremost about an emotional connection, a strong immediate bond, between product/service and person (the customer). If you make that happen, you can sit back and let the competitors come your way; you are protected. Let me know if you have questions about turning your startup into a brand, or if we can assist hands-on. You can also use our rather vast library of resources. However you go about it, start creating that layer of protection around your new venture; you will thank me later. Your New Brand’s Underlying Mission? Be The Best Waiter Imaginable. Be a Waiter? Waiter…as in the service personnel in a restaurant? That is exactly right. 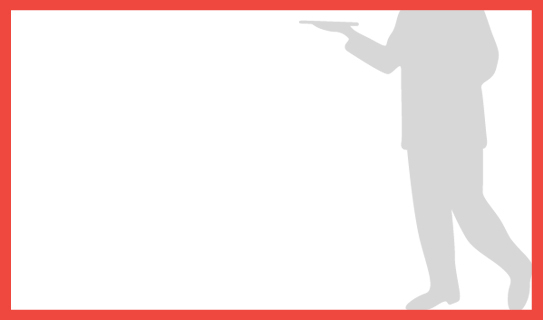 Your B2C or B2B brand should aspire to turn into the best waiter you can possibly imagine. When I spoke at Innovate Pasadena a few weeks ago, I found myself making this statement out of the blue at the beginning of my speech, and I felt it was an analogy worth sharing. I am certain you had those moments when you were on a romantic date, an important business lunch, or in midst of a highly stimulating conversation with an inspiring person when the waiter interrupted to tell you about today’s specials. Here you are, having gone through many steps to arrive at a magic moment, just for the waiter to kill it in an instance. Of course the service industry as a whole is a great place to zoom in on when it comes to ways of ruining (or magnifying) a great experience, but the intimacy of a restaurant setting can amplify the bad moments. He does not interrupt, instead he knows exactly when, and how, to check on your wellbeing. It goes far beyond food orders, refills of water, pouring of wine, or asking if the food is to your liking. It is about careful observation and impeccable intuition. A great waiter knows when to appear and when to disappear, when to speak and what to say, when to assist and in what matters, and when to silently observe.…and all of this at just the right moment. A great waiter fits into the experience like a puzzle piece, when – and only when – you want, or need him. That’s what your new brand should aspire to: Equipped with a deep understanding of your target audience, your brand acts like a mindreader. Impossible? Think of that special restaurant with that special waiter. It is happening in restaurants around the world; but only the few that put the extra effort into it – and it is mighty memorable for their customers. Aspire for your brand to put in that extra effort to turn into that amazing waiter. 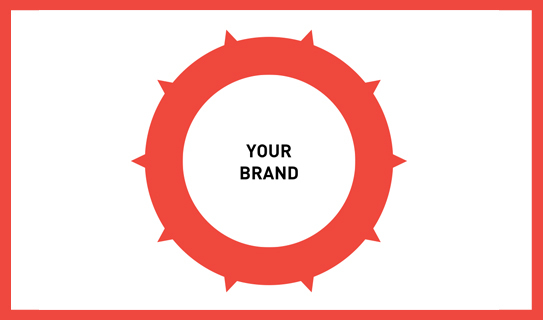 Your audience will remember, share and repeat their experience, regardless of the price tag. Ask yourself: Am I about to launch a product/service, or a brand? You may not have a direct competitor yet, but you soon will. When the innovative, new and unique wears off, competitors will offer your product at a lower cost. How will you keep your customers from choosing their product instead? What will it be that will make your offering stick? Too many startups have to re-invent, re-brand and re-connect once they find traction – at a high cost. If you have a unique offering combined with ‘the stick’ – the set of true differentiators, the emotional connectors that deliver from the inside out, consistently on message (visually and verbally) and on target – you know you have a brand. Having that foundational special ingredient is like a survival formula for your startup, it will make customers come sooner, faster and stay around even if they could save a few bucks elsewhere later on. @i_mdoughboy tweeted the following last week about my consultancy’s process chart (see below): Guess where the value is? Here’s a hint – the graphic is eerily similar to a bullseye. Imagine you are a gifted craftsman that has mastered a unique design that you developed over the course of years just to sell very few and at a high price as you don’t have the audience nor infrastructure. You created something truly unique that only you offer. After years of work, but only a few units sold, you see your design offered at a fraction of the cost at a large retail chain. It happens daily. Examples are too many to give, from apps to shoes to frozen yogurts, and all across B2B services. The only real life insurance you can have, besides a unique product/service to start out with, and its correlating trademarks, is to have that ‘stick’, those emotional brand differentiators that spread across product, service and your Brand Atmosphere. Those are hard to replicate. If they like your product/service, they might come and purchase it. If they love your brand, they will come and purchase it, return to it, and stay with it. Avoiding the trap is hard to do for startups, being strapped thin on time and money, hence they often launch blindly, solely focusing on the uniqueness of their offering and not that of their brand. We saw this as a huge issue facing early stage entrepreneurs. Over the course of the last 6 months (based on our 12 years of experience running a branding and design agency, and with the help of writing a book on the subject) we were able to create an affordable ‘overnight’ remedy to avoid that trap. 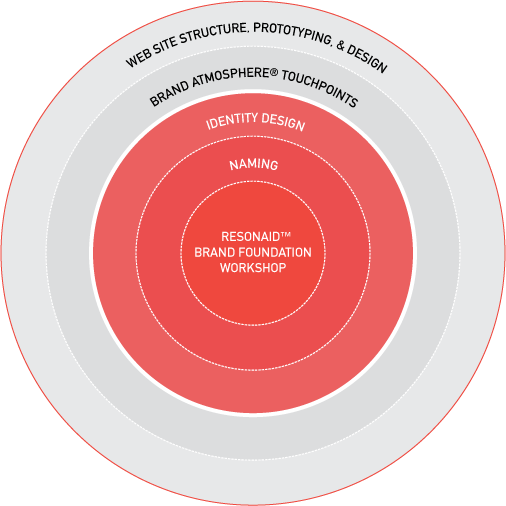 This is a huge reveal for us, which I am thrilled to share with you via this post: Meet our Resonaid™ Brand Foundation workshop, where I spend a full day with you, one-on-one working through a proven, proprietary process to find the path for your new brand to emotionally connect with your customers from the get-go and for the long term. I have one date left available this month and a few in April. 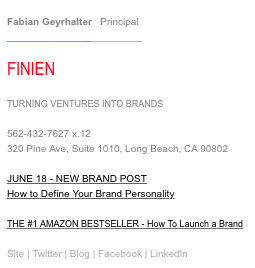 Contact me via fgeyrhalter@finien.com if you are interested in learning more about this customized workshop to find the brand ‘stick’ for your startup. PS: Yes, there is a great book entitled ‘Made To Stick.’ You should pick it up, it discusses why some ideas thrive while others die. Rather appropriate in this context. That’s a lot to convey on a single page and therein lies the problem for an enthusiastic entrepreneur who writes this important piece of content in a stream of consciousness (it is after all the subject you know best), then quickly proofs it, and by the push of a button publishes it. Rarely do they look back. Yet another item checked off the busy to-do list. Then the journey of marketing and metrics hits in and the About page, long forgotten, is like ‘a ghost employee’ in a well functioning company; it lives on yet it should have been let go and replaced a long time ago. It has to be right. You can’t just block off an hour on your busy calendar. It has to be more like that moment when you drive to the beach to just sit and breathe and think big thoughts. Make the time for that moment and don’t put a time limit on it. For myself that moment arrived during a 12 hour flight after I have answered ‘all’ E-Mails and there was no WI-FI for new ones to trickle in. I watched the Steve Jobs movie (Inspiration 1), had a glass of wine (Inspiration 2), the cabin lights went out so everyone could sleep (I was in Coach – Inspiration 3), and I knew if I started writing now that I had hours and hours to fine tune and contemplate. And so I did – the time and place were right. Best of all, even if I wanted to, I could not just push it live as I did not have WI-FI, so it forced me to sleep over it and make even more tiny edits when ‘back on the ground.’ It took me 3 hours to write. Edit, edit, pause, then edit some more. Words should not come easy (Ask F.R. David, he knew). If they do, consider it a brainstorm exercise, then work on a synopsis of that copy. Don’t cut paragraphs, don’t review sentences, dive deeper and focus on it word-by-word. In the end your About copy should be thought of as a lineup of tag lines, because in a tag line every word counts, has meaning, adds to your brand story. Think of each word as a strategic component to the whole. Once you feel you phrased it in just the right way, make sure it will resonate with them. Sounds logical, hence easy, but it is one tough role play: Write in an emotional and enthusiastic manner that conveys your brand’s soul, but then read it from the perspective of your target audience. It helps when you created target personas, that way you can read pretending you are that specific person. If time allows, run it by your target audience and conduct a mini focus group, or even A/B testing of different About pages, to see what sticks. Make it as simple as possible. Make it as short as possible. If you need to, add links to further content below your CTA (Call To Action). No one reads a long About section. No one. Rather go through steps 1-3 and then edit it down again and have something your audience will actually be compelled to read, because it is short and approachable. This is about getting them excited to keep going further, to click deeper, it is not the page that needs to convey everything, but ensure it has the 5 components listed above embodied. In a study of user tests it was discovered that users with higher literacy levels also fared better on web sites written for a lower level literacy audience. So keep it brief and keep it simple. I guess I should go back and edit this post, but I don’t feel too bad keeping it this length as someone just released the book ‘Brief: Make a Bigger Impact by Saying Less;’ it spans 256 pages. What Is An Entrepreneur’s Biggest Pain Point When Launching A Brand? The Answer May Surprise You. Not about the fact that positioning is the most important component of a brand launch. After all, it is the one that takes the most out of entrepreneurs as it requires a refined mixture of many diverse skills – creativity, industry insight, foresight, process and honesty (among others), and it is something that is very hard to create in a silo. What did surprise me was that entrepreneurs see the importance of positioning so clearly and that they are humble enough to acknowledge the DIY approach might not suffice when it comes to this aspect of their brand launch. Positioning is at the core of brand development, it forces you to answer the question Why, long after the questions What and How have been settled in your mind and you have decided that there was a need and you had the means to start that new business, or create that new product. The direction of the business has been set, but the direction for the brand has yet to be created (and synced). I believe most entrepreneurs start diving into positioning (and the overall creation of the Brand Platform), too far down the line, which adds to the fact that 46% of our respondents see it as their core branding issue. 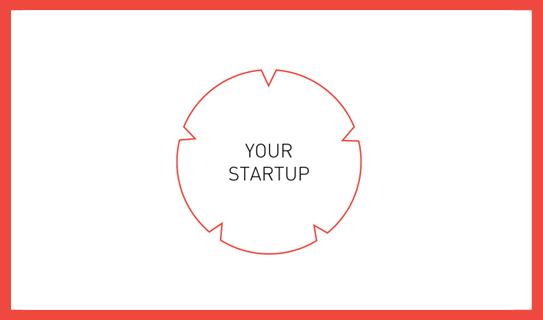 What is, or was, your biggest pain point with your startup? Do you agree with our readers’ responses? If you are struggling with positioning, we created a white paper on the subject (free download). A couple of weeks ago, Bob Garlick, host of Business Book Talk (poking through below), contacted me to schedule an interview about our book ‘How to Launch a Brand.’ With Bob sitting in Vancouver and myself in Los Angeles, I was immediately taken by surprise as there was no script that he shared with me, no canned answers to prep, no warmup chatter and no edits were made to our conversation. Now that I crossed the bridge by posting audio (how adventurous), I might as well share a quick video in which I further define ‘brand’ specifically for startups, filmed at a mentoring session (how advantageous) at the Founder Institute in San Diego two weeks ago. I spend my days talking about early stage branding with startups and I learn a lot about their behaviors, struggles, fears, and of course their amazing energy and innovative mindset that I thrive off. At times I will use the New Brand Post platform to discuss startup culture and give entrepreneurial advice. It will save you from getting brandexia (a sudden sensation of anxiety caused by the over consumption of the word ‘brand’ by entrepreneurs, often leading to serious cases of brand self-awareness), while still gaining actionable insights and advice for your early stage startup. As the holidays are approaching (Happy Thanksgiving to my US-based readers), so are company parties, chatter about Q1 goals, and speculations about holiday bonuses. Let me start off by saying that cash-based holiday bonus incentives are a wonderful thing, no doubt about it. I always love giving as well as receiving them thoroughly. Employees appreciate the gesture of appreciation and the fact that they may be able to plan a trip or buy some gifts they otherwise might not have had the opportunity to afford easily. But people investing their time and talent into a new venture understand that cash flow is one of the keys to the survival of the venture, that cash needs to be put to work in small chunks and in strategically calculated places that will directly impact the company’s growth (and yes, brand). Most early stage startup employees are very aware that they made a commitment to give up some traditional monetary perks for being part of the startup tribe, for investing into their future. As a founder of a new cash-strapped venture, the most cost-effective and best gift for hardworking employees is the gift of empowerment. Create public awareness of staff by talking about their valuable insights and specific contributions they made to the company, publicly via a blog post or newsletter with the title ‘The Season Of Giving Back To Those Who Gave (Your Company Name) Their Best in 2013‘. Mention each and every one of them with specific insights they provided, or actions they took that moved your company forward, full names and photos included. If you have more than 8 employees, spread it out through the month of December. Share it via Social Media and tag them so the article shows up in their networks signifying that this is not out of self-interest, but pure thanksgiving. Instead of giving a low (= insulting) cash bonus, or a gift that may or may not resonate with your staff, try honest public praise and let me know how it is being perceived. I bet they will thank you, sincerely.